Sarasota Tree Care Services employs the best in the business when it comes to tree care in West Bradenton. 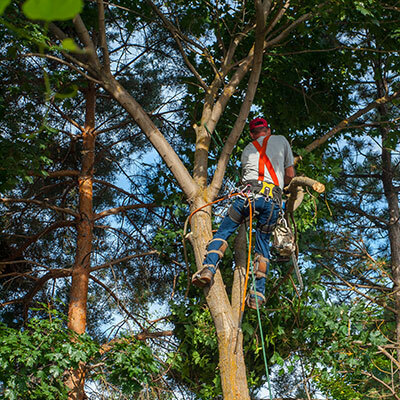 Our arborists have years of experience and are confident in the evaluations of your trees. You can expect one of our staff members to pick up the phone, schedule quality work, and provide reasonable rates. We offer a wide variety of different services, including trimming and pruning, stump and full removals, land clearing, Ball Moss removal, Spanish Moss removal, and emergency services and clean ups. Following the destruction of a powerful storm, it’s common for many of them to have fallen or branches to have broken off. If you find yourself dealing with damages to your home or business that they have caused, you’ll need a professional service company you can rely on. When you decide to work with our staff, you can expect to work with experienced professionals who know how to perform in difficult situations. Better yet, we own our own cranes and have our own operators since time is of the essence. Without a doubt, our removals and stump removals are the most extensive services we provide—not to mention the most dangerous. 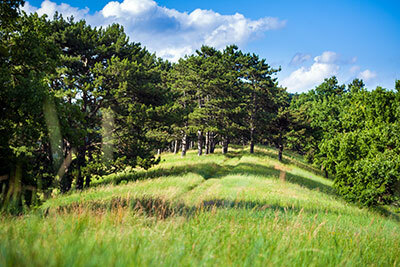 Likewise, our company is focused on tree removals based on our experience, equipment and years of built-up knowledge. Trimming and pruning is also another highly performed service and specialty of our company. With certified arborists on staff, we are familiar with all kinds of pruning. Most of our customers aren’t even aware that there are different styles of pruning, but it’s important to understand the differences so you know which one you need. In most circumstances, we will find that it needs more care than just trimming or pruning. In these cases, we will remove a tree if it is presenting a safety hazard to your property, closing in on nearby power lines, or starting to lean. Our team in West Bradenton works hard to ensure that most of the ones we care for will never need to be removed and can live on for decades. To so do, we will schedule regular service so that we’re able to inspect your trees sporadically throughout the year. Our high-skilled arborists can examine each and every layer of your tree to look for changes that need our attention and additional care. In the end, our team is here to serve you and your property. Whether you are a homeowner or commercial property owner, we want to meet and exceed your needs and expectations for professional care. It’s important to keep in mind that the average cost for tree care in our area can vary based on a few different factors, but our staff will be an upfront and transparent as possible in sharing our rates. For fast, reliable and affordable tree care in West Bradenton and the surrounding areas, look no further than Sarasota Tree Care Services. It’s our goal to help maintain your landscape’s health, safety and beauty.